I think I have mentioned that Germans aren’t that much into cookies. Especially not in summer. But when I brought these Summer Lemon Cookies to work the other day, they were gone within minutes. Even I was a little surprised. Maybe it was because they are full of lemon flavor and you can definitely taste the cream cheese. Since they are rolled in sugar before baking, they have a nice crunchy touch, but are soft in the center. I don’t know. But what I do know is that these cookies are really easy to prepare and do NOT need to sit in the fridge to develop their flavor. You can whip them up in about 20 minutes from start to finish. Even if it is hot, I promise you, your oven won’t be turned on for too long. So yes, go ahead and makes these delicious friends! If you are more of a chocolate person, you may enjoy these Nutella Chocolate Chip Cookies. Preheat oven to 180 degrees Celsius and line two baking sheets with parchment paper. Whisk the flour, baking soda, cornstarch and salt in a medium-size bowl. Set aside. Pour about 50 grams of regular sugar in a small container. Set aside. Cream the butter and cream cheese in a large bowl with a mixer for about two minutes, then add 100 grams of sugar and mix one more minute. Add the egg, lemon juice, lemon zest and vanilla extract. Add the dry ingredients to the wet ingredients and either mix on low or using a wooden spoon until combined. Roll balls of dough in the size of a walnut and roll in prepared sugar afterwards. Place on baking sheet lined with parchment paper. Cookies will flatten out slightly. Gently press down each cookie with the bottom part of a glass. Bake the cookies for 10 to 11 minutes, or until very lightly browned on the edges. Let cool on baking sheets for a few minutes before transferring to a cooling rack. Cookies can be kept in an air-tight container for a few days. I am taking this cookie also to the link party Fiesta Friday. So which cookie is your favorite in summer? These look fantastic and I’m going to give them a try this weekend! I really appreciate that you write a rough idea of how many lemons that amount of juice and zest need, that’s really helpful. Thanks for the compliment, best summer cookies ever! A question… When you say you put about 50 grams of sugar aside to use later, and then you add “the sugar” to the other ingredients, you mean that the recipe calls for about 150 in total, with 100 in the dough and 50 to roll, right? Yes, 100 grams + 50 grams. Will change that to make it clearer. Thanks for the hint. 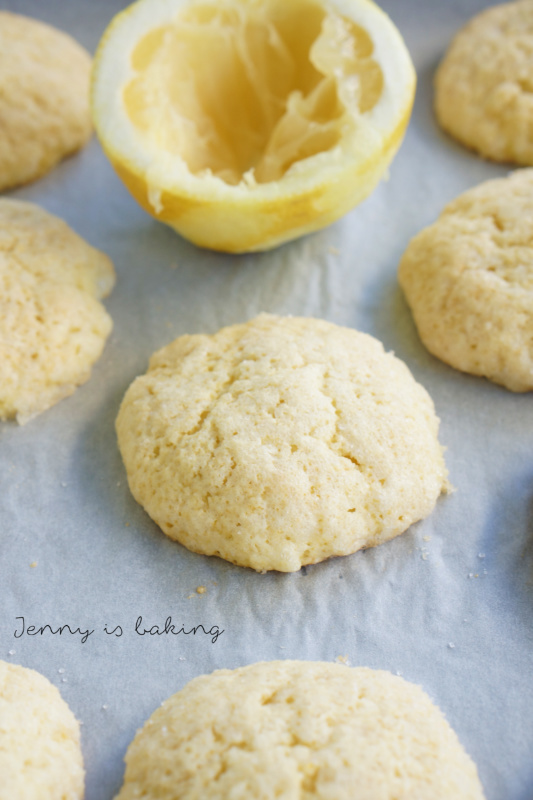 I am not sure if I had lemon cookies before, but these sound so good! You may need to send me some. Otherwise, I’ll just make them myself. 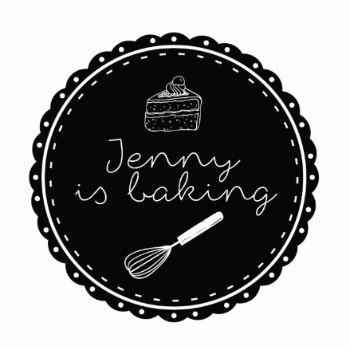 😀 Happy Fiesta Friday, Jenny! 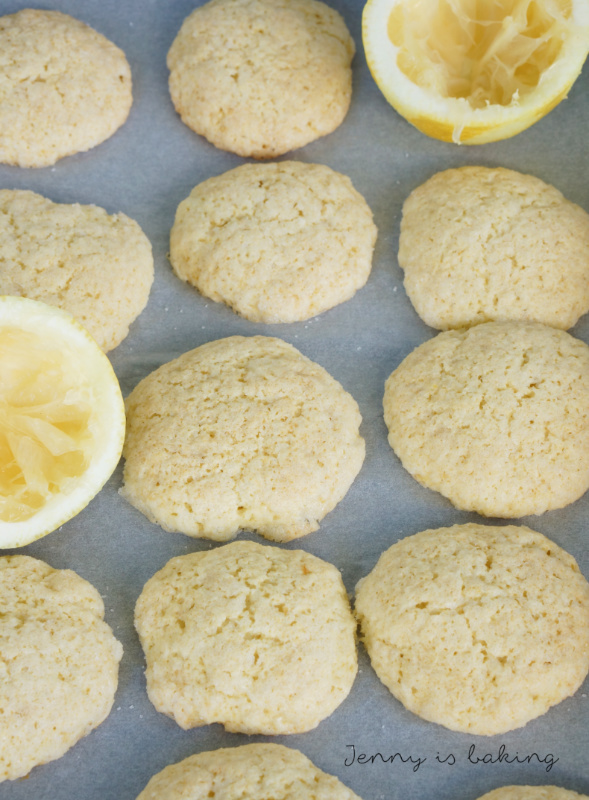 I love anything in a cookie form and lemons are the perfect summer flavor – yum and thanks for sharing! That is summer in a cookie alright! I like your detailed and precise instructions, very helpful indeed. Thanks for bringing your delicious summer lemon cookies over to Fiesta Friday, Jenny! Hi Shinta, thanks! Let me know if you make them. Please let me know how they turned out!